With a wide choice of facials on the market you may be confused as to which will be the best for you and your concerns? At Changes Clinic we offer clinical facials which are designed to help with more than one condition. Here we explain which facial does what and why it is suitable for you. Ideal for those who wish to look after their skin in between their botox or filler treatments, or for those who wish to tighten skin and prevent the progression of wrinkles. Ideal for those who have scars from Acne, deeper fine lines and wrinkles, open pores. A fabulous new treatment for face & neck to bring radiant & hair free skin. A surgical scalpel is used to remove dead layer of skin & fine vellus (fluffy) hair. Many benefits including reduction of acne scarring, up to 60% additional penetration of skin care products as well as ease of make up application. Ideal for those who have a lot of fine, fluffy hair, which laser or IPL cannot remove. For those who want flawless skin when applying makeup. 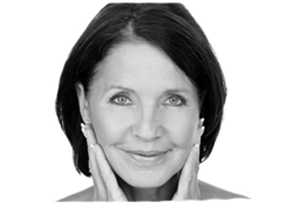 Our facials deliver collagen stimulation using peels, LED light, radio frequency tightening with our patients commenting on the differences they see almost immediately. Ongoing facials are recommended to promote healthy skin with great tone & texture! Ideal for absolutely EVERYONE! This treatment is for those who want more than just a relaxing facial and to know that their skin is being well looked after too. To book your Clinical Facial with us call on 02392382000, we promise they wont let you down!